On Thursdray, 16th of September, at 7pm, Kinoskola and Kim? invites to a conversation with the film director Laila Pakalniņa, to discuss the Venice Film festival, which has just come to an end. Venice Film festival, which is the oldest film contest in the world, initiated the film festival form this year celebrating its 67th anniversary. The film by Laila Pakalniņa, “On the Rubik’s Road” was included in the contest programme “Horizons”, which the organizers themselves had claimed being a focus show and the territory for the inter-medial researches, not any more strictly dividing cinema apart from video art, works filmed on the classical tape apart from those digitally taken. Did the Venice Film festival manage to startle? Have the attempts of redefining its place in the digital era been successful and ensuring? These are just few of the questions which are meant to create central topics for some further discussion with Laila Pakalniņa. Her film „On the Rubik’s Road” (30 min) will be included in the programme. Films by Laila Pakalniņa appeared in Venice several times – in 2003, “Python” was screened in the Film festival; in 2001, in the frames of the Venice Art biennale, a short film “Papa Gena” was screened in the Latvian exposition. This year, the Film festival accepted her “On the Rubik’s Road”, a film which is almost text-less and at first seems to be also without any narrative line or any noticeable heroes. “What is Rubik’s road? That is a path for bikers, made in Riga suburbs at the end of 80ties – the first bikeway in Latvia. Among the people, it’s being called after the Soviet functionary of those times – the Rubik’s road. 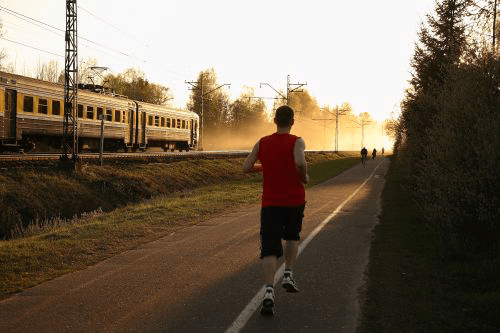 The bikeway stretches along the railway like, which leads from Riga to Jūrmala, to sea resorts. Recently, some 20 years after it’s being built, this narrow long road is still being used actively – here go the young and active ones, dressed up according to the actual tendencies and fashions, here the teenagers waste their time, here the little ones learn to walk, and here the elderly slowly drag their feet. Where from? Where to? The contemporary reality of Latvia, with all the coordinated and non-coordinated moves and turns – settled on one single bike road: this is just one of the codes, which to use reading the film by Laila Pakalniņa,” says critic Dita Rietuma.